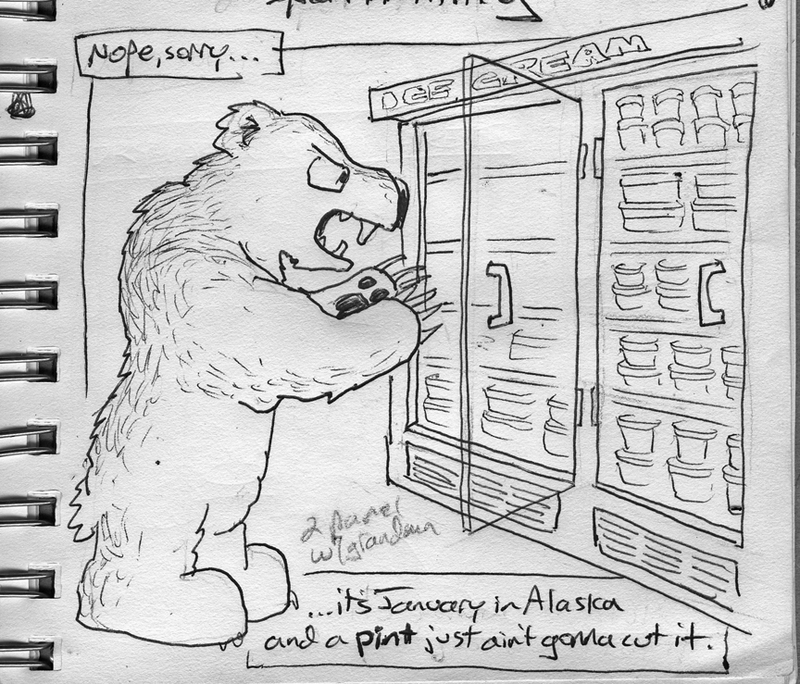 Ink & Snow: "Ice Cream Mauling"
The original doodle behind this idea was sketched out during my last excursion to the Kenai Peninsula while standing around the airport by the usual dead hairy animal displays. Anybody who's endured the deep-freeze of an extended winter season up here knows the overpowering urge to mindlessly consume calories EAT FAT. Also worth mentioning is probably the best combination ever from two local sources of awesomeness: Silver Gulch Brewing and Hot Licks = Forty Below Stout Ice Cream.